Sridham Vrindavan, it is such a pure land, that only when all the bad signs are destroyed by coming to land. Who would be the last person who would not want to come to this holy land and would not want to show his gratitude to Banke Bihari Ji Temple. This temple is situated in a beautiful area of Shri Vrindavan Dham. It is said that this temple was built around the year 1921 with the collective effort of the descendants of Swami Sri Hari das Ji. At the beginning of the construction of the temple, no donor's money was put in it. Sri hari das Swamy Subject was Nishin Vaishnava. Shri Banke Bihariji had appeared from Nidhivan, pleased with his devotion. Swami Hari das ji was born in 1536 in the village of Rajapur near Vrindavan on the day of Ashtami in the Shukla Pakhsh of Bhadrapad month. His prayer was Shyam-Saloni Surat Baal Shree Banke Bihari Ji. His father's name was Gangadhar and mother's name was Smt Chitra Devi. Haridas Ji was the disciple of Swami Ashudhir Dev Ji. Upon seeing them, Ashudhir Dev ji had known that these are the incarnations of the Lalita ji and on the day of Radhashtami, the devotion of the devotees of Shri Radha Ji came only here for the benefit of the festival of Mangal Festival. Hari das ji has been considered as the incarnation of Rasnidhi Sakhi. From childhood, they used to be bored from the world. In adolescence, he took initiation from Das gupta Mantra from Ashudhir ji and the Yamuna started meditating in the nearby place of Nikunj. When he was 25 years old, he got infertility from his guru and stayed away from the world and remained constant in contemplation of Nirukjan Bihari Ji. Swami Hari das ji had a dream to remove the statue of Bihariji in the Nikunj forest. Then, according to his knowledge, Srivija, who had a beautiful black-and-white image, was taken out from the lap. This beautiful idol was known in the name of banke Bihari Ji in the world, this statue was removed on the Panchami date of Margashirsha, Shukla. Therefore, we consider the date of birth as Bihar Panchami with great enthusiasm. 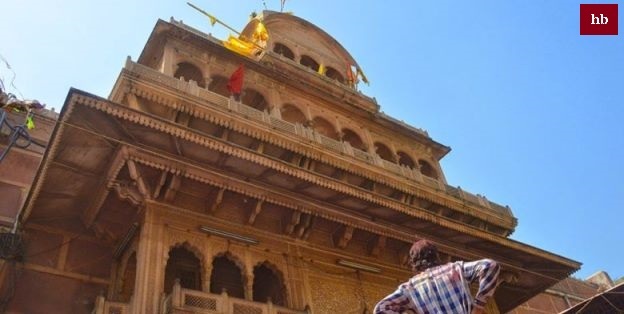 The image of Yugal Kishore's government, due to the combined image of Radha Krishna or an image of monkey, is the feeling of supernatural light in the image of Banke Bihari Ji, Radha is an element of element Shri Banke Bihari Ji had been serving in Swaminarayan for a long time. Then, when the construction of the temple was completed, they were brought there and established. Shri krishna Yatri Ji, enjoying the benefits of Bihari Ji and other service arrangements. Then he appointed Hargolal Seth Ji in the Samvat in 1975 to handle the services of Shri Bihari Ji. Then this Seth established Shri Banke Bihari Trusts at places like Veri, Kolkata, Rohtak, etc. Apart from this, the support of other devotees is also providing great support. It is a matter of great joy that when many Vihāsas were transferred from the danger of the burning of Black Mountain. But Shri Baba Bihari Ji did not transfer from here. Even today, they are worshiping with love. By changing the worship system of Swami Haridas Ji in the earliest, a new sect became independent from the Nimbarka sect and became a cult of sect. According to this method, services and festivals are celebrated in all the temples of Vrindavan. Shree banke Bihari Ji lives in Bihari Jee Mandir only on the day of Sharad Purnima. Only on the day of Shravan Teej, Thakur sits on the swing and only on the day of Janmashtami is his Mangala-Aarti. The lucky person whose philosophy is received only. And the phase is seen only on the day of Akshaya Tritiya. The one who sees these step-throats is crossing the fleet. Swami Haridas was the famous singer of music and Guru of Tansen. One morning, Swamiji began to see that a quilt lying on his bed sleeping. Seeing this, Swamiji said, 'Who is sleeping on my bed?' There Mr. Shibirji was sleeping himself. Bihari Ji ran away when he heard the words. But they went on placing their crooks and widows on the bed. Swami Ji, due to his vision in the old age, he was not able to see anything. After this, when the priest of Shri Banke Bihariji Temple opened the cupboard of the temple, when the priest of Shri Bankevarijari Temple opened the deception in the temple, he was not seen in the cradle of Shree Banke Bihari Ji and was not seen. But the temple's door was closed. Surprised, the priest came to Swamiji in Nidhivan and told Swami Ji all the things. Swamiji said that in the morning someone slept on my pulp. They left something while leaving. Then the priest looked directly at the Panchal that the Chuda-Vanshi of Shree banke Bihari Ji was sitting. It proves that Shri Baba Bihari ji go for funding at night. For this reason, there is no Mangala-Aarti of Shree Bihari Ji. Due in the night, Bihari comes here by lending. Therefore, it is a crime to obstruct sleeping in the morning. Many emperors came here to get the vision of Swami Haridas Ji. Once, Emperor Akbar of Delhi came here to visit Swami Ji. The philosophy of Thakur Ji is from 9 am to 12 noon and from 6 pm to 9 pm Time changes are made according to the special date prefix.